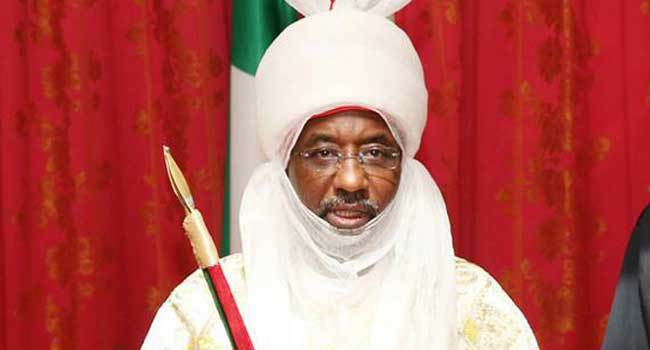 Emir of Kano, Mallam Muhammadu Sanusi II, on Thursday said the growth and development of the country is being hindered by the emergence of “briefcase billionaires”. Sanusi said this while speaking at the end of a three-day Northern Regional Conference on Security, Justice and Development: Effective implementation of intervention measures’. Sanusi argued that the more the society produces briefcase billionaires, the more the masses would get more impoverished. “We need to build an economy that looks at people; not that which further creates gaps, unimagined gaps between people. You cannot call this capitalism either. It is through such kind of arrangements that end up in creating an insecure society. We all created the insecurity we are suffering from. Justice is one of the key and fundamental issues that can address our predicaments,” he said.